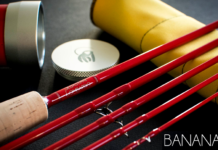 On 23rd and 24th March, the Business Design Centre opened its doors to the capital’s second ever annual fly fishing event: The London Fly Fishing Fair. 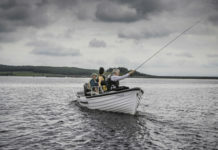 Founders John and Fergus Kelley were thrilled to welcome fishing enthusiasts and newcomers alike from all over the UK. Over 3,500 visitors came to the two-day show to explore over 70 specialist exhibitors, fishing destinations and lifestyle brands. 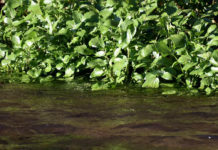 Visitors had the choice of enjoying talks, presentations and films on all disciplines of fly fishing including screenings of the Fly Fishing Film Chalk, which documents the celebrated chalkstreams of England where the sport of fly fishing was popularised and perfected. The fair’s ambassadors Marina Gibson, Damon Valentine and James Stokoe were also in attendance, getting all visitors inspired about the extensive events programme and fly fishing opportunities around the world. 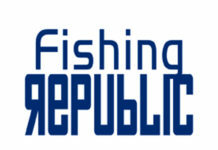 The fair saw all-round angling guru, Charles Jardine, bring in the crowds with his true passion for the sport. 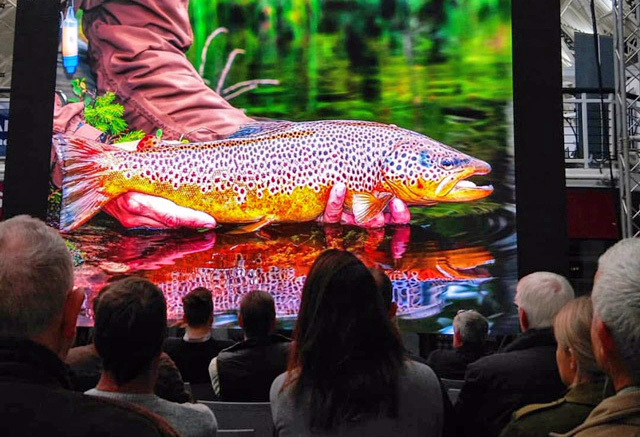 Charles, along with Matt Hayes, one of Europe’s well-known anglers, presented alongside cast-master Hywel Morgan, an expert at engaging spectators in his fun fishing demonstrations. Orvis UK ambassador, Marina Gibson, spoke about women in fly fishing and the launch of Orvis’ 50/50 on the water campaign. 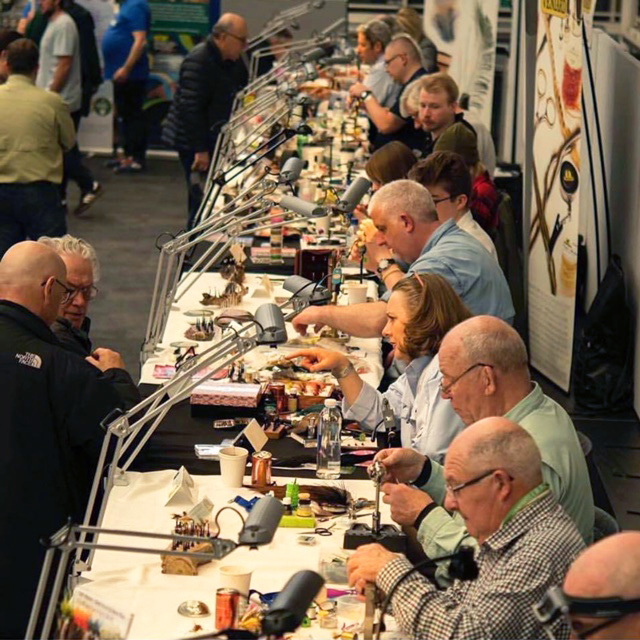 Visitors were able to enjoy over 70 specialist exhibitors, including Orvis UK, Fin & Game, Funky Fly-tying, Farlows Travel, FishPal, Snowbee and Edward Barder. 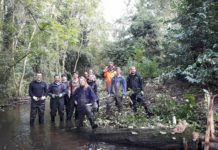 Alongside brands, conservation was an important theme across the fair with presence from the Atlantic Salmon Trust, Salmon and Trout Conservation, West Country Rivers Trust and Countryside Alliance, who were seeking to inform visitors of the importance of conservation in our sport. The Friday evening was finished off with a drinks evening sponsored by the Game Fair and BASC for all exhibitors and visitors to enjoy and connect with one another. 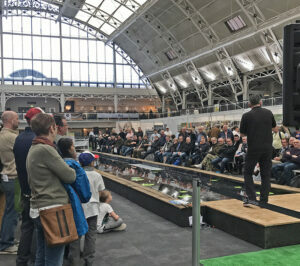 “We are delighted to be able to say that the second London Fly Fishing Fair was a roaring success. We are so thrilled at the huge of amount of support we’ve had from everyone in the fly fishing industry and community for our second year, it means so much. We hope the support will continue to grow for The London Fly Fishing Fair and we look forward to welcoming everyone back next year!” – John Kelley (Co-founder of The London Fly Fishing Fair). 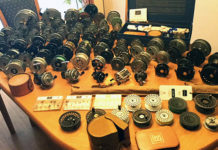 Previous article2018 London Fly Fishing Fair – Friday 23rd & Saturday 24th March.